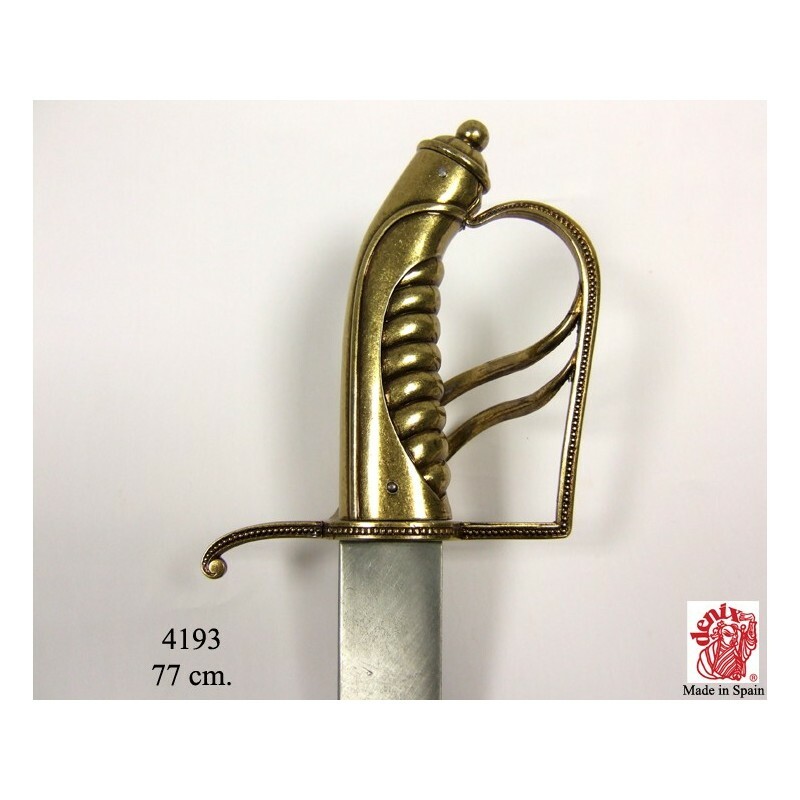 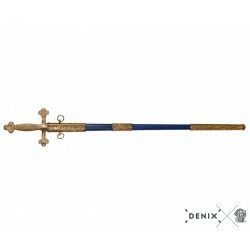 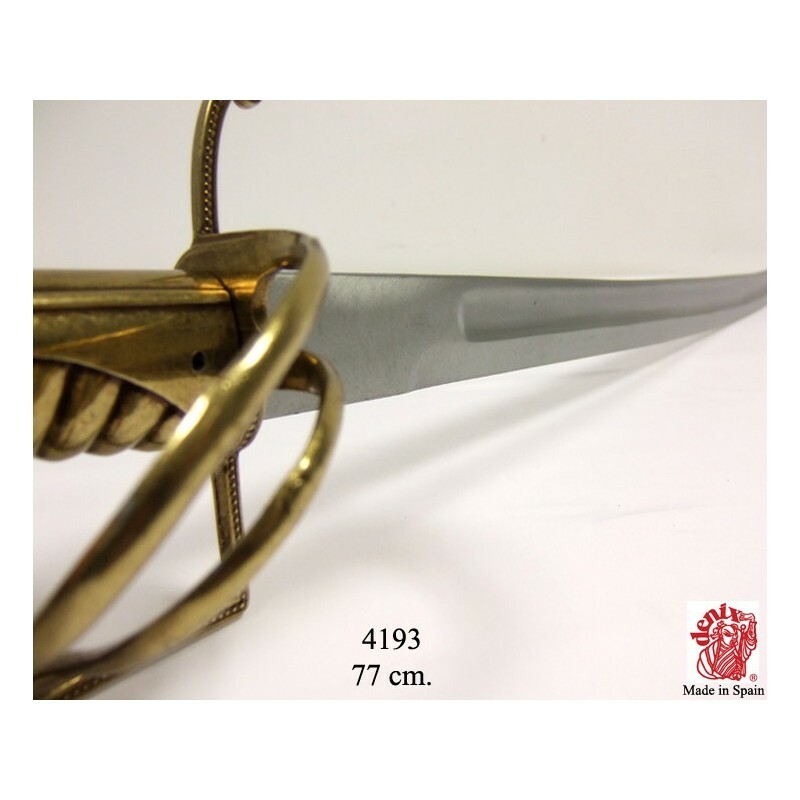 > Denix Historical Replicas>Denix Swords>Denix 4193 Bartholomew Roberts 1682-1722 pirate sabre, Welsh 18th. 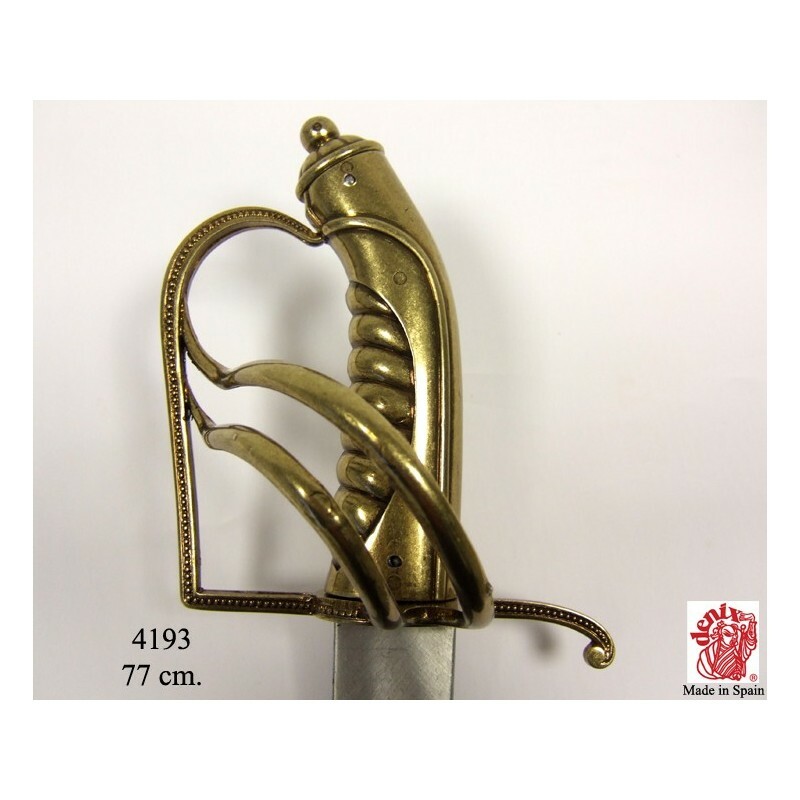 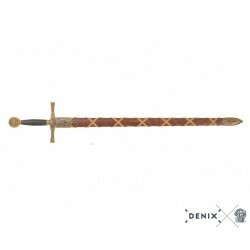 C.
Denix 4193 Bartholomew Roberts 1682-1722 pirate sabre, Welsh 18th. 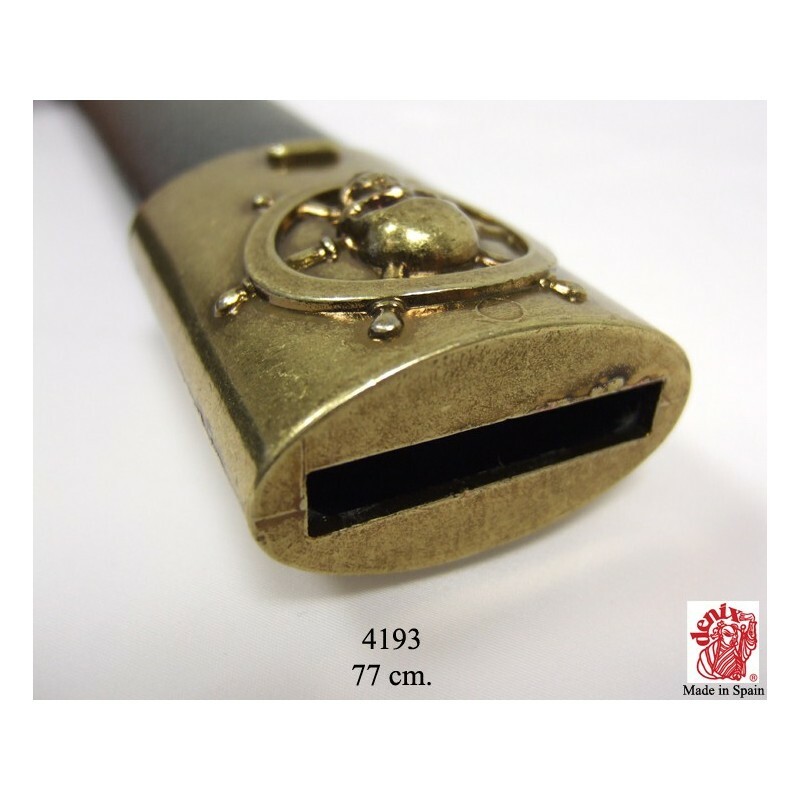 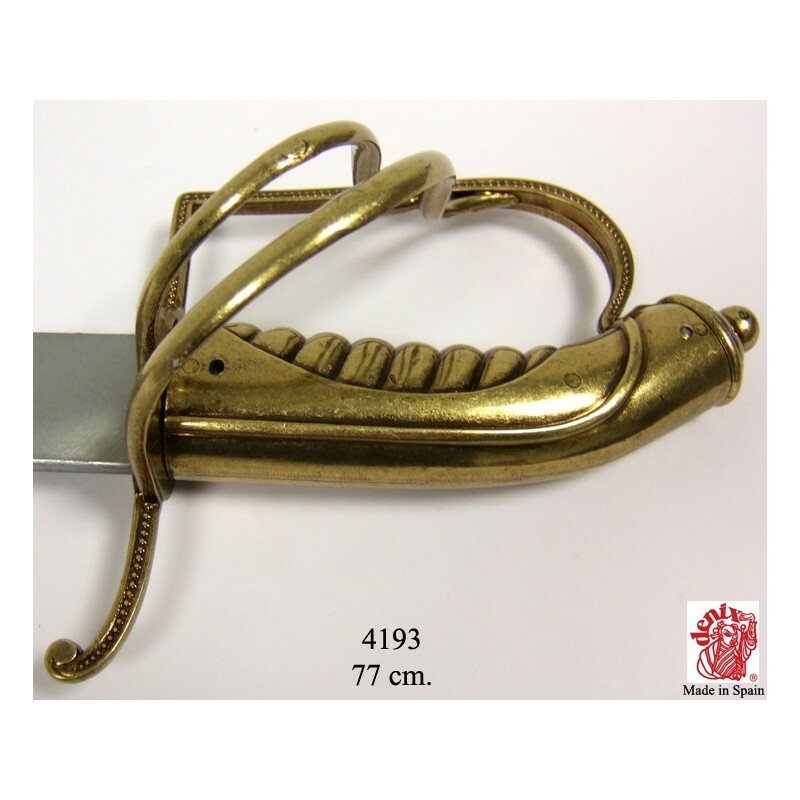 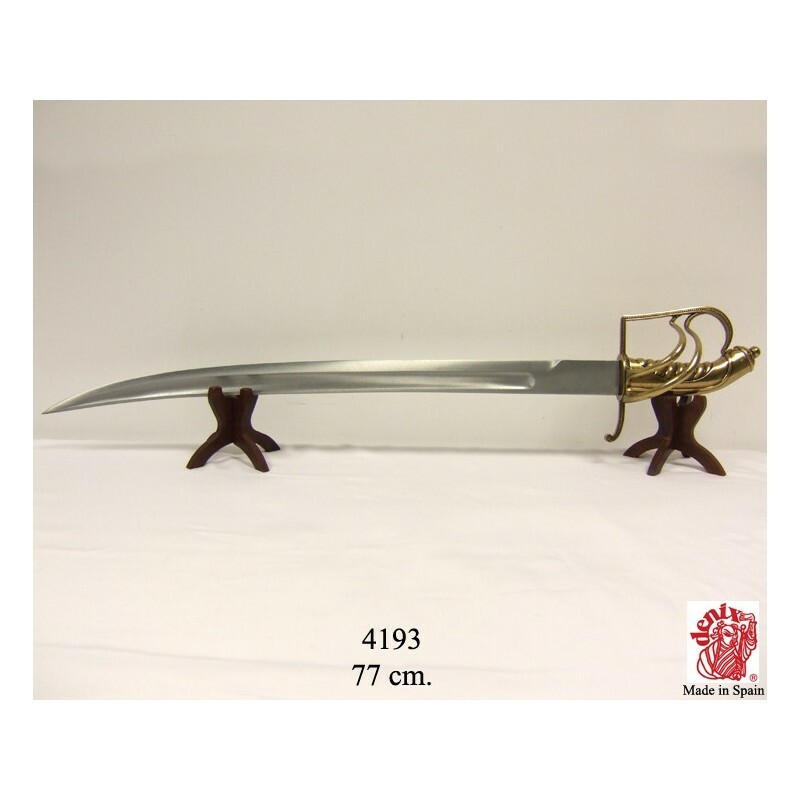 C.
Reproduction of a pirate saber made of metal and lined plastic removable scabbard. 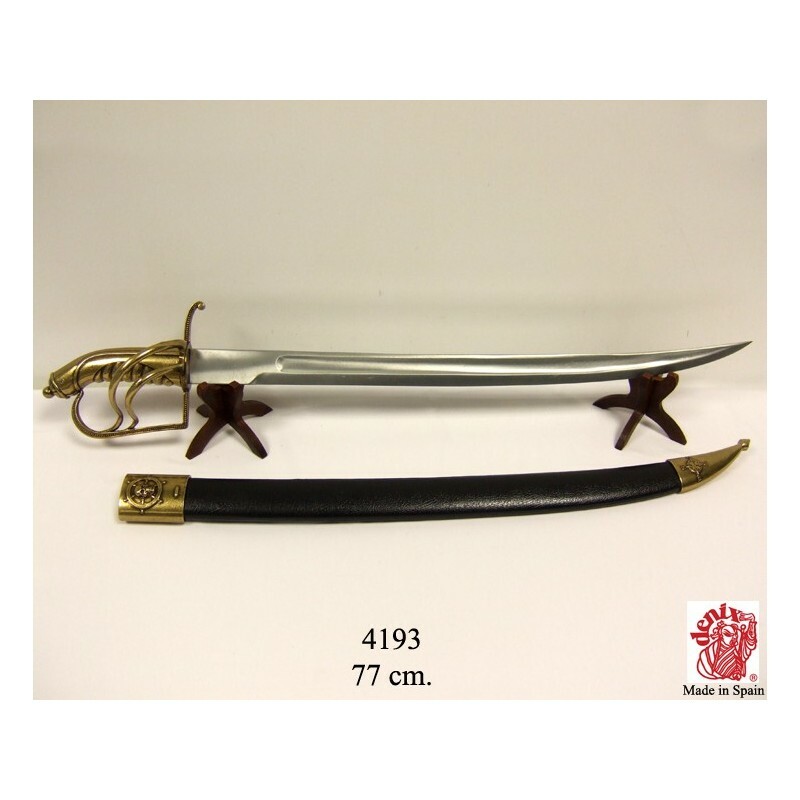 Also known as "Black Bart". 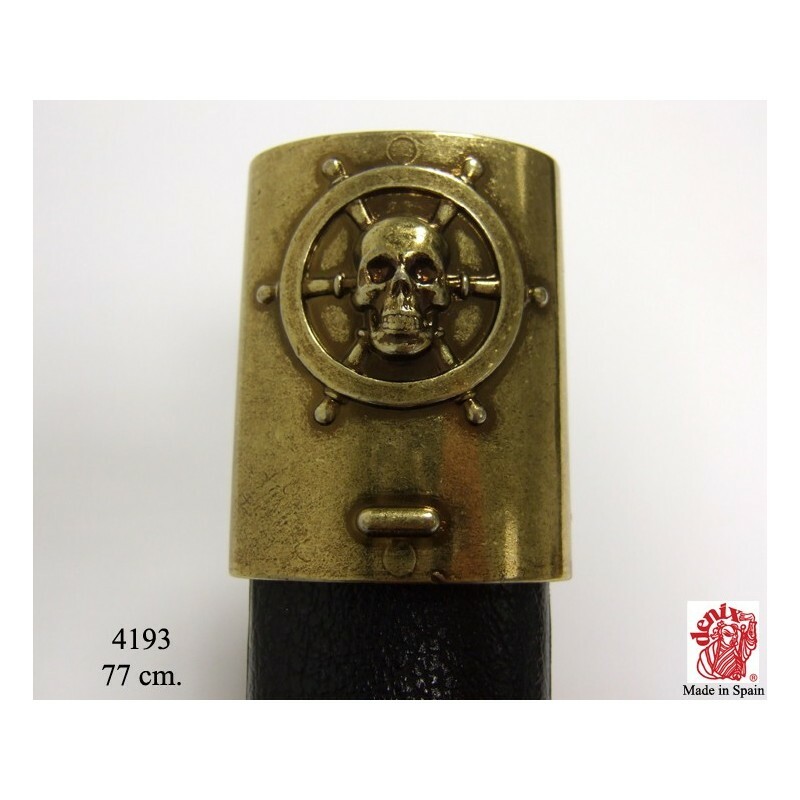 After practicing seafaring very young, when he was 37, he decided to be part of the crew of Howell Davis, it was the beginning of his forays into the world of piracy; he managed to put together a squad big enough to destabilize the British fleet. 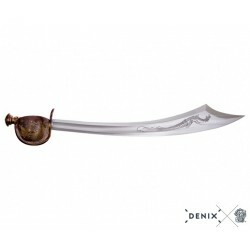 Between 1719 and 1722 he mainly attacked areas between America and West Africa; it is believed that he captured more than 470 ships, which made him the most successful pirate of the golden age of piracy. 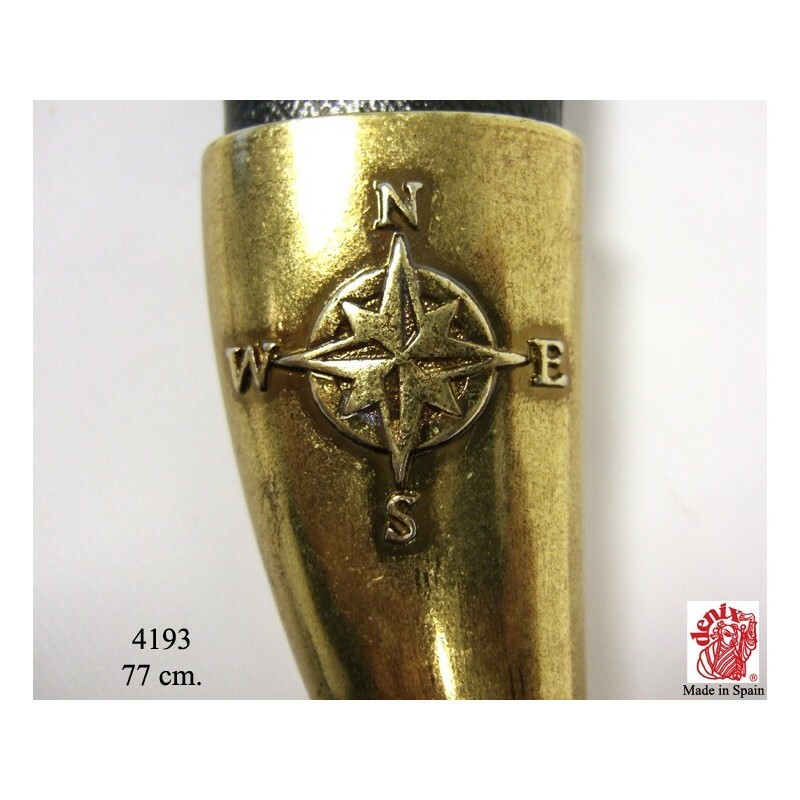 He is known, among other features, by his education, by the attention he devoted to women, by his abstinence from alcohol and for the rules applied to the crew of his famous boat, "The Royal Fortune": his pirates should obey eleven rules , they are known today as the "pirate code". 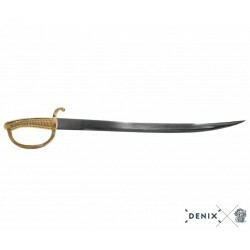 His death in 1722 during a naval battle with the "HMS Swallow", closed the period of greatest growth of piracy in America. 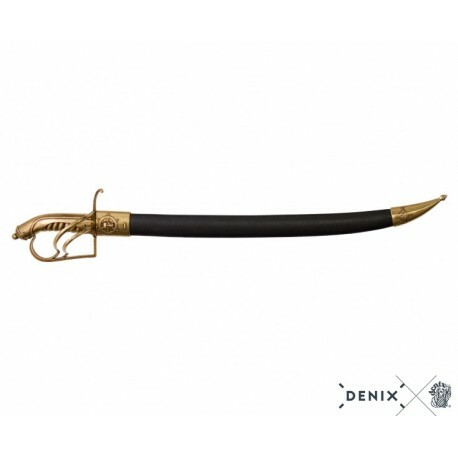 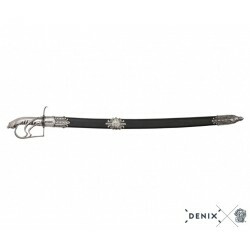 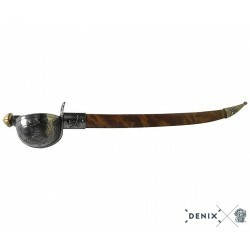 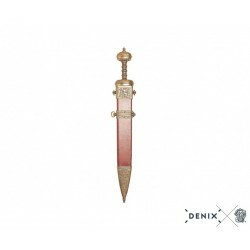 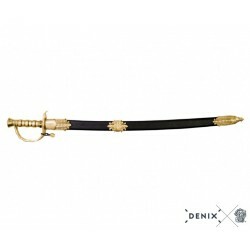 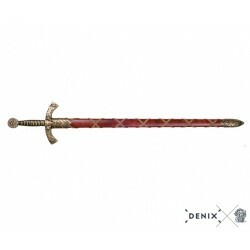 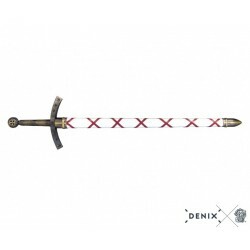 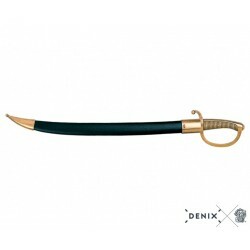 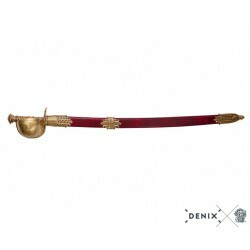 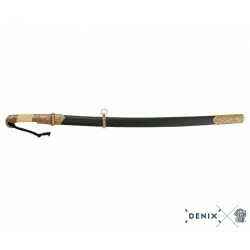 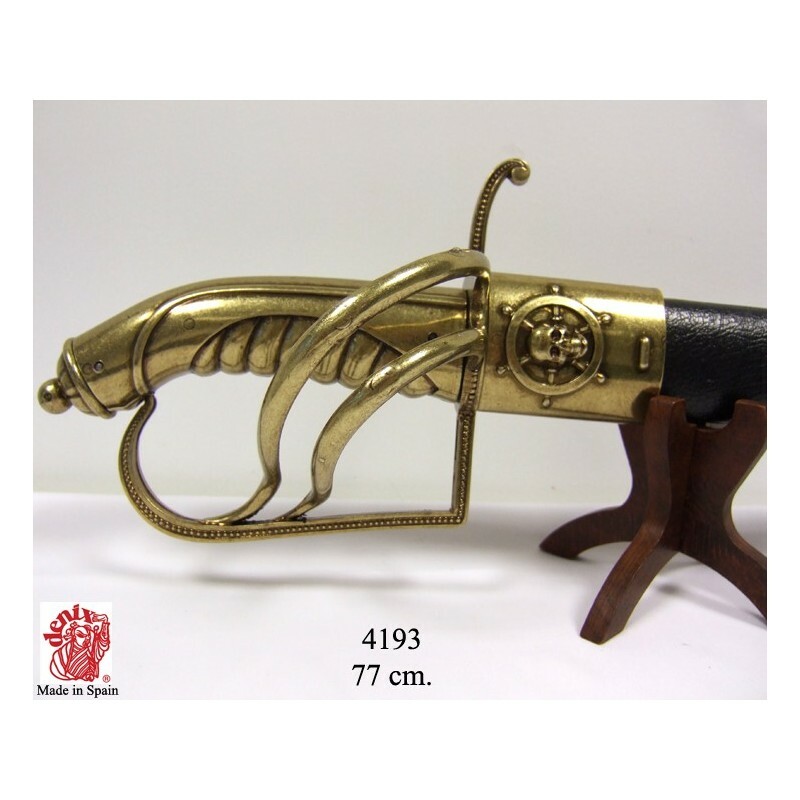 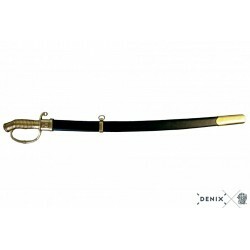 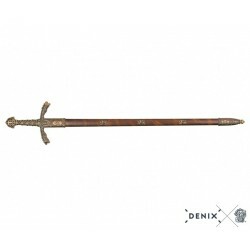 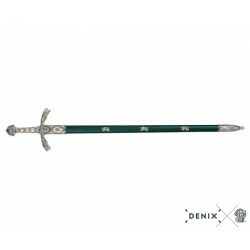 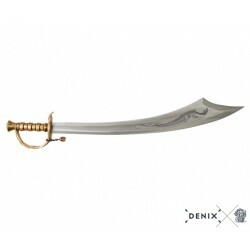 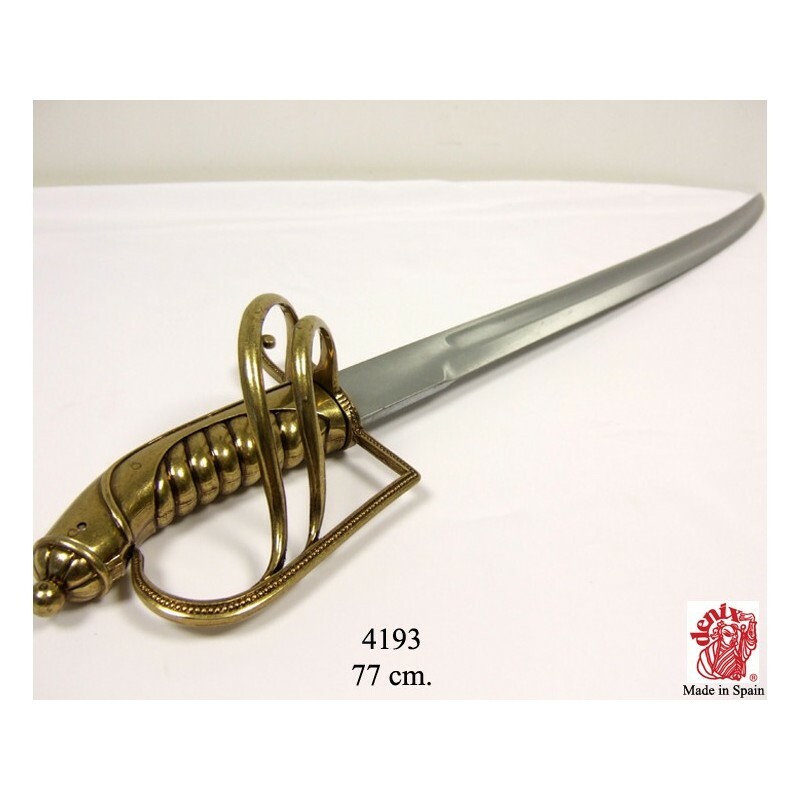 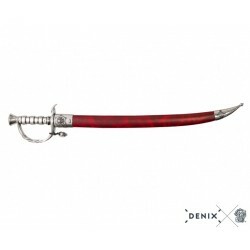 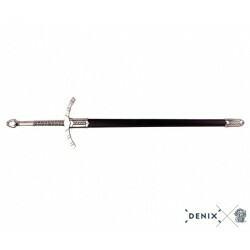 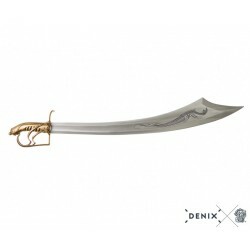 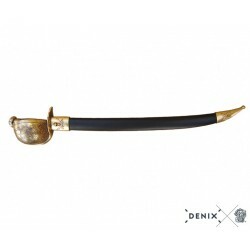 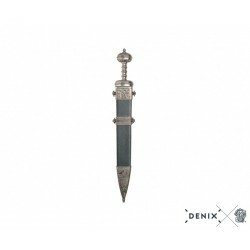 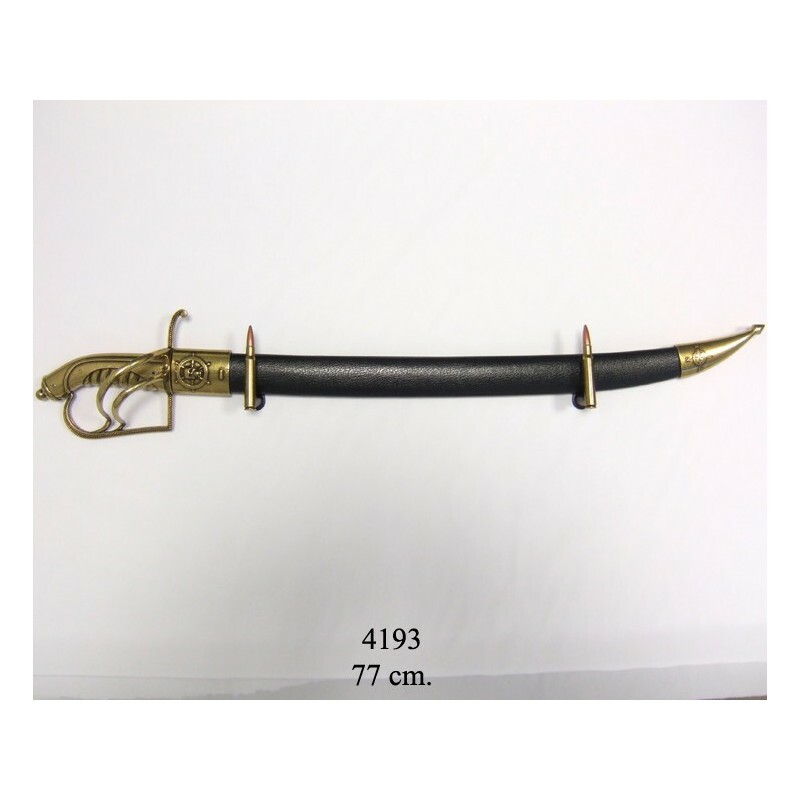 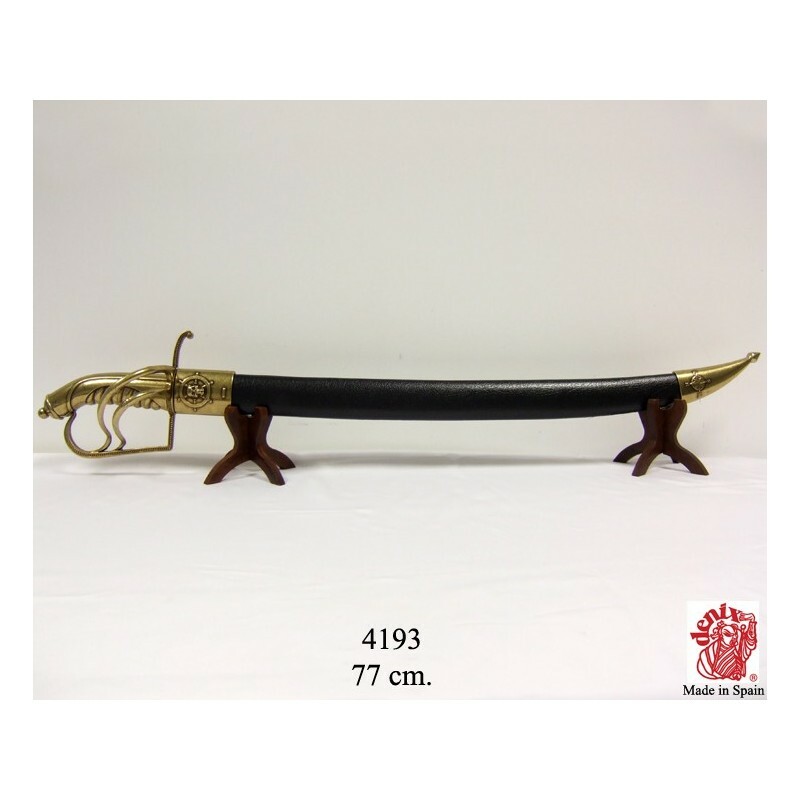 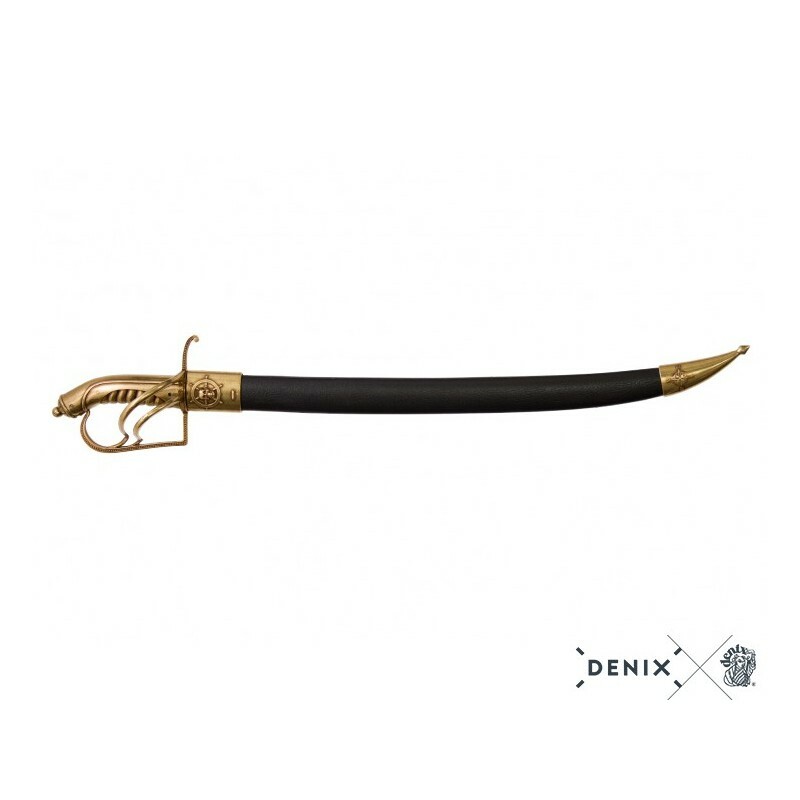 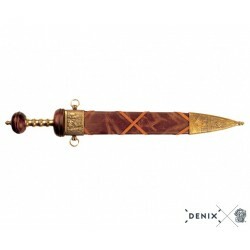 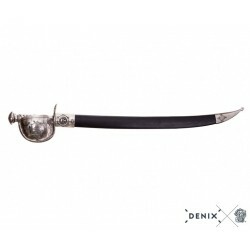 Relive with the historical reproduction of this DENIX sword of Black Bart the adventures in the Caribbean seas! 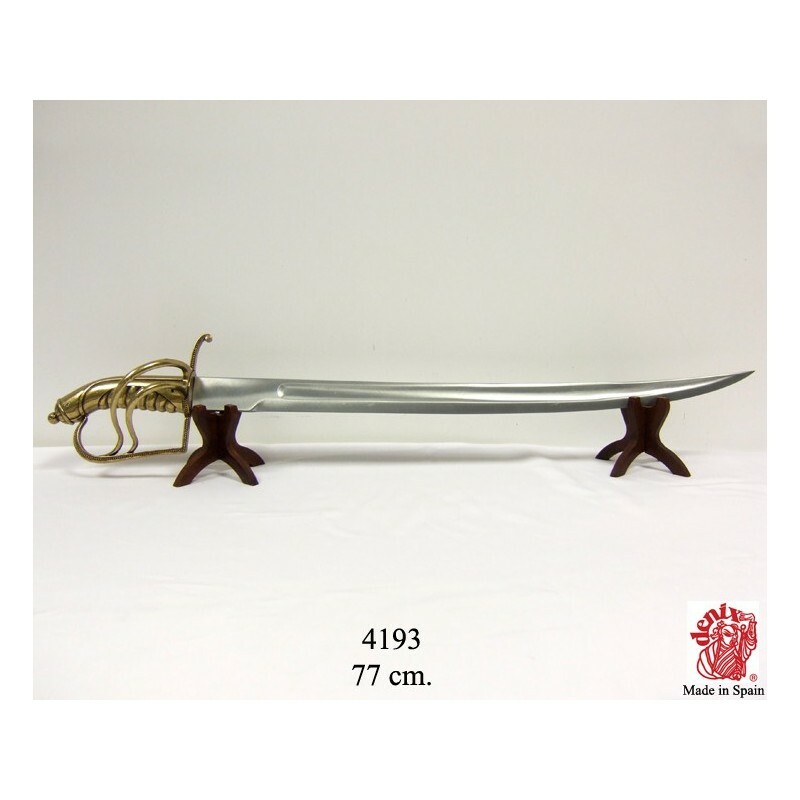 Dimensions: 77 cm / 30,315"